Dr. Asis De is Assosiate Professor of English and Head of the Department of English Language and Literature, Mahishadal Raj College (Govt. Sponsored), Mahishadal, West Bengal, India. His research interests (both M. Phil and PhD) include the study of Identity negotiation in newer/ diasporic cultural spaces with particular reference to postcolonial Anglophone fiction. In a number of publications and conference presentations in India and in Europe (Belgium, Germany and England), he has worked on the issues of cultural identity and transnationalism in Asian, Caribbean and African fictional narratives. 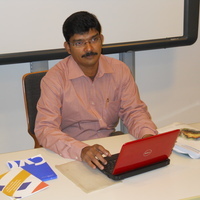 He also teaches Anglophone Postcolonial Literatures, Dalit and Tribal Literatures, Cultural Studies and Diasporic Literatures in Post Graduate level since 2010.